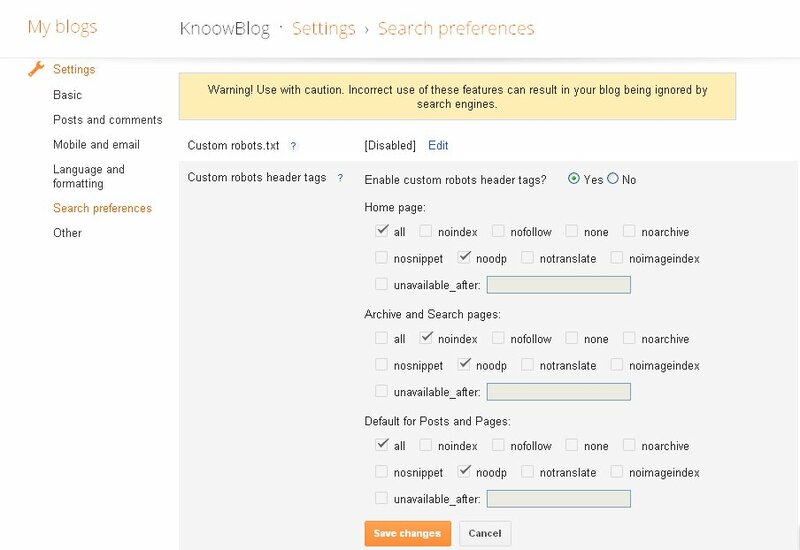 Recently blogger has rolled out new search engine optimizing features but many are still unaware of how to use those preferences or enable those features. 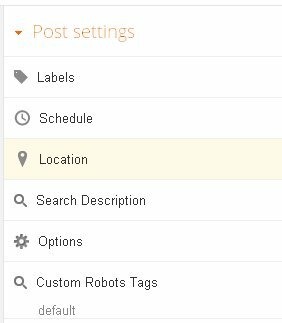 One such feature is Custom Robots Tags, we don't find it in our post settings by default because we need to enable few settings. So below is a small description of how to enable it and use it effectively for every post. 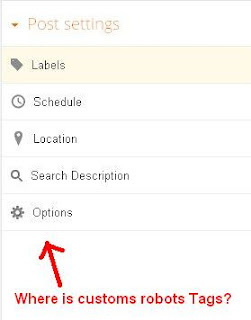 So in order to enable custom robots tags you just need to enable few settings in your dashboard. >Enable Customs robots header tags. Now you will get confused on what tags to enable just don't worry see or click the screenshot below and enable the settings as follows. Now just try to edit or create a new post you will find Customs Robots Tags enabled. Now you can find Post settings as the image below. 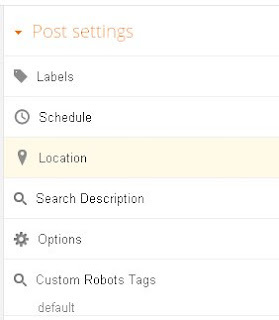 How to select or edit the settings for Customs Robots Tags for each post? To select proper settings for each post you need to have a little bit knowledge on the given settings, because you need to change the settings from post to post depending on your necessity. So just go the the quick reference of when to enable which setting below. There are no restrictions for indexing or serving. Note: this directive is the default value and has no effect if explicitly listed. Do not show a “Cached” link in search results. Do not use metadata from the Open Directory project for titles or snippets shown for this page. Do not offer translation of this page in search results. 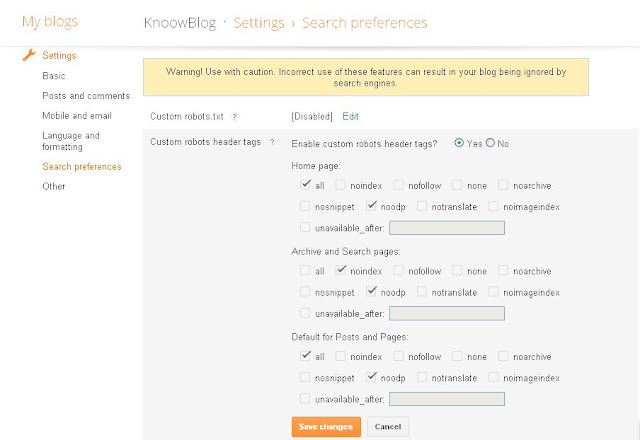 Now that you have got some knowledge on how to use the Custom robots tags just apply and sort out your results. It should work effectively and increase your search engine rankings. I just want to give credits to two of my favorite bloggers Harish and Ahmed from whom I was able to make this post.